Elizabeth, aged 27 years has been missing since September 26th, 1984 from the NSW Central Coast. Two men who were acquitted in 1990 of murdering a woman whose body was never found will jointly apply for compensation for wrongful arrest, prosecution and imprisonment. Thomas William Hudson, of North Wyong, and Bradley Scott Morgan, of Melbourne, will claim in February that the prosecution came about as a result of police coercion and that the alleged victim, Elizabeth Margaret Bromfield, is not dead. 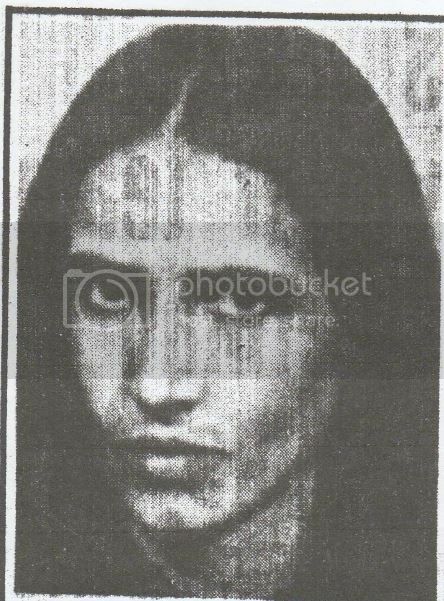 Instead, they say, Ms Bromfield, who was 31 at the time of her disappearance in late 1984, and an informant to the now disgraced former Gosford drug unit detective Wayne Eade, is in a location known to police. Mr Hudson and Mr Morgan are applying for leave to make the application because it falls outside the time limit for an application of that type. Mr Morgan told the Herald he was only now putting in his statement of claim. But he had been approached by the NSW Crown Solicitor's Office about what he was going to say. "I told them to shove it," he said. "I believe I was being harassed." Mr Hudson has claimed he and Mr Morgan were framed by police for murder. According to the prosecution brief at the time, Mr Hudson ordered Mr Morgan to give Ms Bromfield a "hot shot" of heroin. The two were alleged to have dismembered her body with a chainsaw and buried it under the F3 freeway, where Mr Hudson was then working. According to Mr Hudson, that allowed police to achieve two objectives: to give Ms Bromfield a perfect cover for disappearing, and to "get" Mr Hudson. Last month the Crown Solicitor's Office inquired into the whereabouts of 17 people involved in the case. Two of the people the office's investigator contacted were former police officers. In his affidavit, the investigator said he had spoken to the men on October 23 and both had declined to make a statement. One had said he was retired and would prefer not to make a comment. The other had said the matter was "so old" and he would "prefer not to be involved". Mr Hudson told the Herald that in 1989 a group of police had coerced Mr Morgan into making a statement confessing to murdering Ms Bromfield and implicating Mr Hudson. At his trial, Mr Morgan rejected his statement and gave an alibi that he had been at Moree at the time of Ms Bromfield's disappearance. Mr Morgan was acquitted, but according to Mr Hudson, police "got to" Mr Morgan and told him to give evidence against Mr Hudson or he would be charged with other offences. Mr Morgan agreed to give the evidence implicating Mr Hudson. Mr Hudson spent nine months in custody awaiting trial, but at his trial in the NSW Supreme Court on May 15 and 16, 1990, his counsel, Winston Terracini, pointed out that the evidence Mr Morgan was giving was totally at odds with the evidence Mr Morgan had given in his own trial. Mr Hudson said there were other contradictions. One was that a female witness had identified the two men from police mug shots five years after she purported to have seen them just once at the Lakes Hotel, The Entrance. That occasion, September 26, 1984, is when Ms Bromfield is said to have disappeared. It placed Mr Morgan in the area at the time but was highly questionable given the feat of memory that was required. Apart from that, Mr Hudson said, he did not meet Mr Morgan till 1985. Mr Hudson said he only found out later, in a chat with a former policeman, that Ms Bromfield was alive and at a location known to police. "I made contact with police internal affairs but I was told that if I went ahead with my complaint I would be charged with creating a public mischief." Ms Bromfield was officially listed as a missing person in 1987. Mr Hudson started looking for her. But he found himself blocked all along the way and believes her name was removed from the missing persons list in 2000 because the media was showing an interest. Greg Walsh, a solicitor who is acting for Mr Hudson, said his office had been in contact with some witnesses in preparation for the application by his client and Mr Morgan. Central Coast rouseabout Thomas William Hudson, 56, who has long claimed the woman he is meant to have murdered nearly 20 years ago is alive and kicking and probably in the Witness Protection Program, is to have his day in court on Tuesday. Giving evidence on his behalf will be his former co-accused Bradley Scott Morgan. Hudson is applying in the NSW Supreme Court for compensation for malicious prosecution and false imprisonment. He and Morgan were alleged to have killed Elizabeth Margaret Bromfield, 31, on September 26, 1984. The pair supposedly chopped her up with a chainsaw and buried her under the F3 Freeway where Hudson was then working. Hudson and Morgan languished in jail for nine months in 1989 until acquitted. Now, the Crown is trying to get Hudson's claim for compensation thrown out on the grounds that it is outside the six-year period prescribed by the statute of limitations. Not so, replies Hudson. There is a clause about concealed evidence. And what is concealed, he says, is the whereabouts of Bromfield. He does not know where she is, he says, but others do. Meanwhile media-savvy Hudson is always on alert-mode for possible appearances of his alleged victim and a month ago provoked a media alert when a female body turned up at Mooney Mooney on the Central Coast. Although the body remains unidentified, police have ruled out Bromfield.